According to Sofía Borgia Sorrosal, the real estate sector in Spain has not just covered the need for housing – it has actually, for a great many years, been the driving force behind the economy. It is a sector which generates a lot of employment directly but which at the same time involves a great many related activities, and for this reason, the effects of both its growth and of any recession in it impact the economy as a whole. This view, which is broadly shared by analysists of the Spanish economy, and the conviction that the Tax System needs to be compatible with competitiveness on the part of Spanish companies – particularly in key sectors – have prompted the Fundación Impuestos y Competitividad to commission its latest work, which it was entrusted to professor Sofía Borgia Sorrosal (Universidad Francisco de Vitoria). It is entitled “La vivienda: impuestos y otras políticas fiscales. La experiencia Europea” (“Housing: taxes and other fiscal policies. 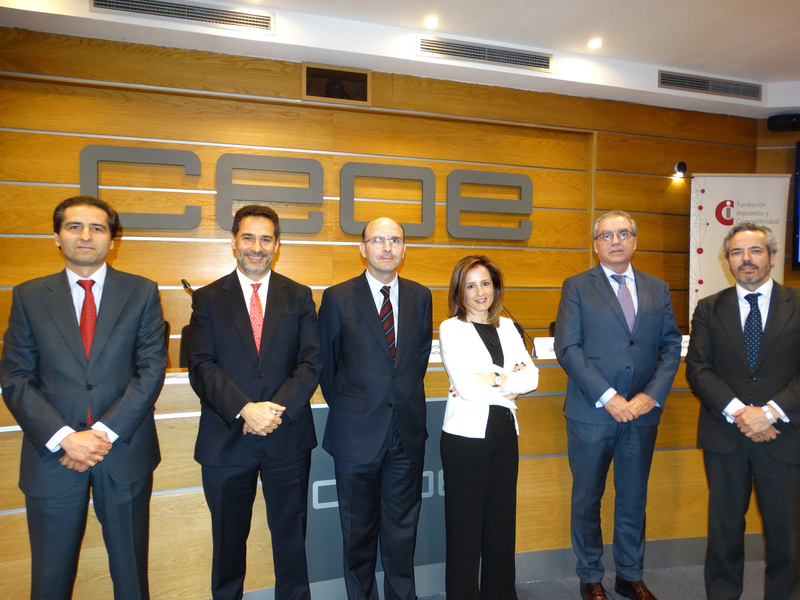 The European experience”) and was presented on 28 March at the headquarters of the CEOE under the auspices of APCE, the national business association representing the real estate development and construction sectors. The difference in relation to other projects undertaken by the Foundation is that this study not only addresses the subject matter from the tax perspective, but also offers a broader view of public policies designed to stimulate the sector. It explores the experiences over recent years of 6 European countries – Germany, France, Italy, Poland, Portugal and the United Kingdom – in the search for solutions which could provide guidance for public policy in Spain with respect to the housing sector. Alongside this international overview, the work analyses a series of economic and tax revenue data related to the sector in Spain from recent years, examining historical data covering a 20-year period. It also provides a detailed analysis of the tax treatment of real estate activity in Spain – focusing on housing in particular –, explaining how the main tax incentives once in place have gradually been done away with. The event was presided over by Mr. Juan A. Gómez Pintado, President of APCE, Mr. José Mª Ortíz Ybarz, Dean of UFV, and Mr. Victor Mendoza Díaz Aguado, President of the Foundation. Following an introduction and short speeches by the above, the author set out the main arguments presented in her work and the event ended with a response from the public sector, represented by Mr. Pablo Luengo Borrero (Directorate General of Taxation, MINHAFP) and Mr. Anselmo Menéndez (Directorate General of Architecture, Housing and Land, Ministry of DEVELOPMENT).